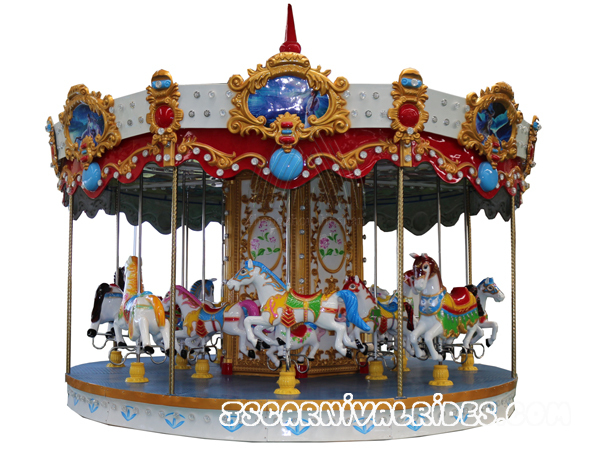 Luxury Europe Carousel Rides is a type of traditional amusement ride consisting of a rotating circular platform with seats-often in the shape of horses or other animals or cars. 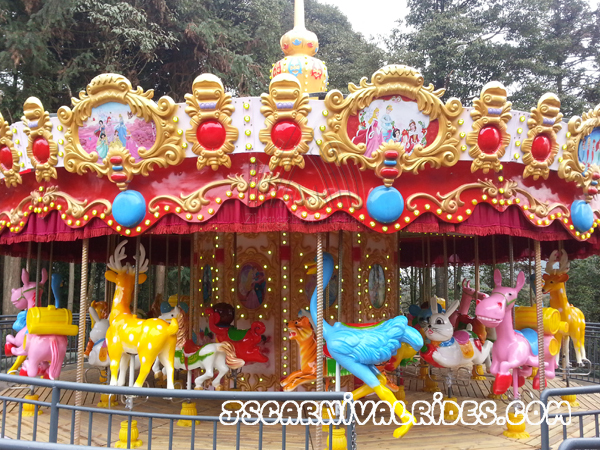 It also known as carousel ride or roundabout. 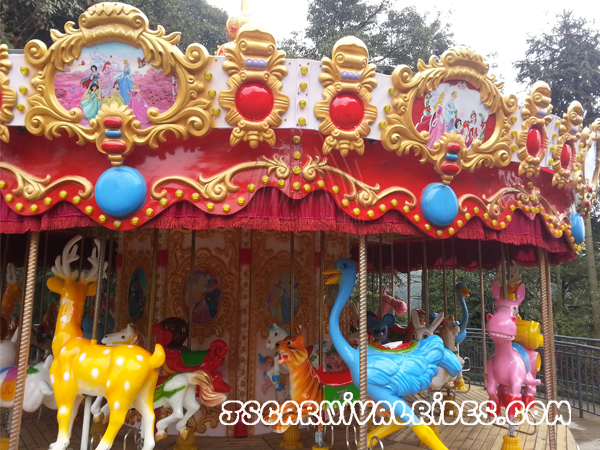 Luxury Europe Carousel Rides has been the most attractive attraction in the central park, playground, shopping center. Movement of going up and down with cheerful music bring tourists a lot of fun. 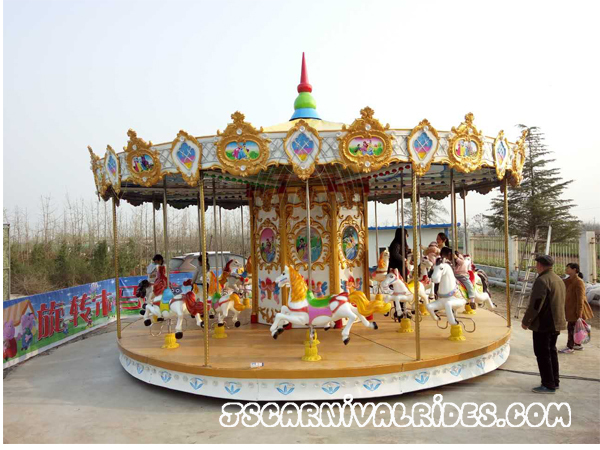 Usually, the Luxury Europe Carousel Rides with 3/6/12/24 or more seats at your requirements. 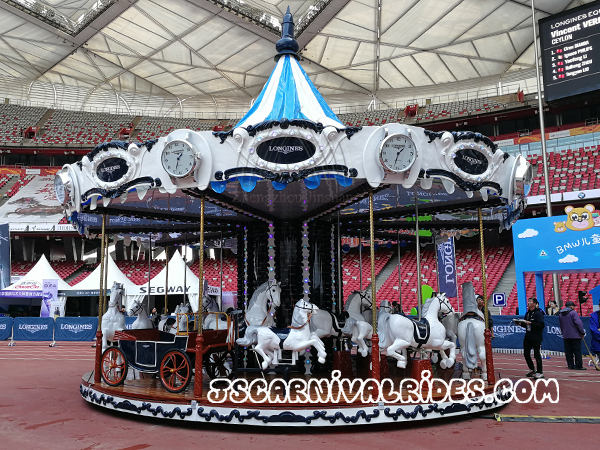 The Luxury Europe Carousel Rides , with luxury design, exquisite decoration and dynamic music, make visitors really feel like riding on lively horses, the entire ups and downs of the racing process would leave a good memory to the tourists. 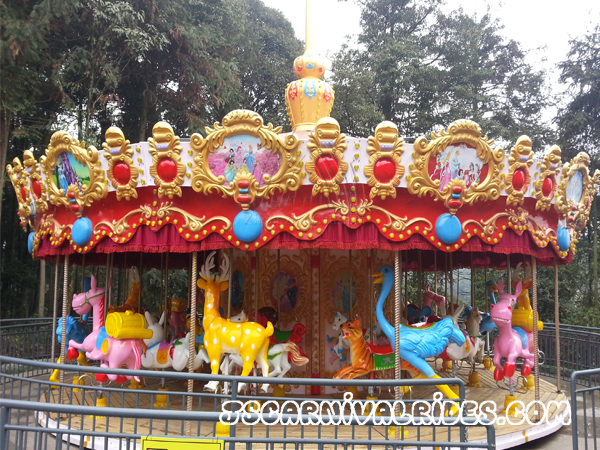 Visitors would recall their childhood memories bit by bit. 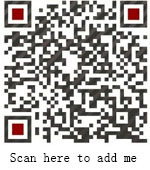 Also make visitors in the community under the rapid pace of life to carry out a wonderful spiritual journey. 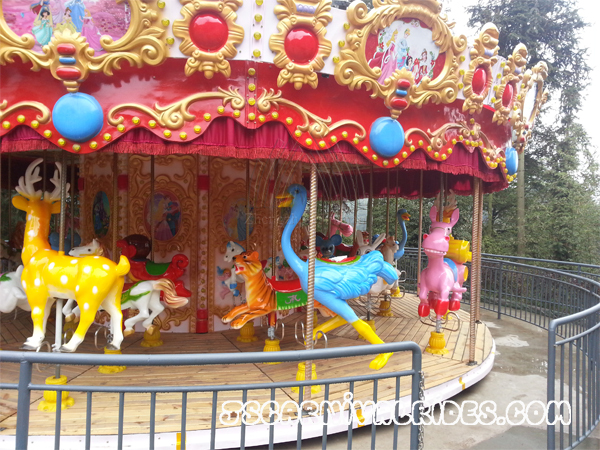 In Jinshan factory, there are various types of decoration for you to choose, also we provide customized service, decorate the carousel as your requirement.